Through many of its broadcasts, SAT-7 links Middle East Christians – young and old – in intercession for others who suffer across the Middle East. 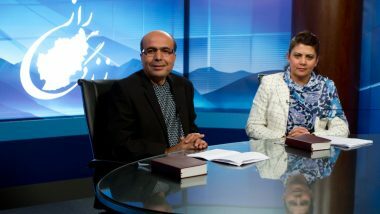 Live magazine programmes on SAT-7 ARABIC and live children’s shows on SAT-7 KIDS feature call-in segments, where callers often seek prayer, not for themselves, but for believers and others who suffer in the face of violence across the region – in Syria, Iraq, Libya, and so on. On live worship programmes, too, countries in crisis, such as Iraq, have been the focus of heartfelt intercession. On a recent episode of We Will Worship, musician Nassef Sobhi spoke live to Pastor Joseph of the Alliance Church in Baghdad. 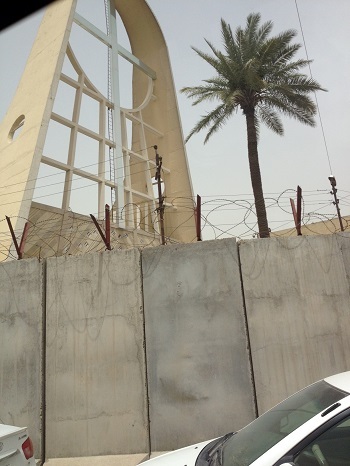 Pastor Joseph described how church members had been fasting and praying since the start of the capture of Mosul when thousands of Christians fled the city.The pastor said the church was holding on to a promise from the Lord that “There will be no more gloom for those who were in distress” (Isaiah 9:1). 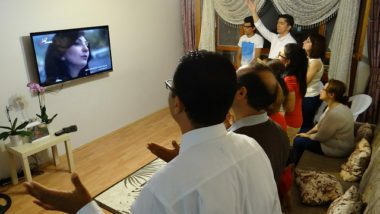 Before leading viewers of this popular show in prayer for his country, he said the church was continuing in expectancy, to “carry the banners of hope, peace, and be a voice of truth” in the capital. A live service from Egypt’s Kasr El-Dobara Evangelical Church (KDEC) also saw Revd Dr Sameh Maurice lead the congregation and viewers in passionate intercession for the people of “Nineveh”, the biblical name for Mosul and the surrounding region. Programmes like these are able to encourage Christians and others who living with fear, extreme danger and uncertainty to know they are not forgotten. They help orchestrate prayer that fulfils the biblical command to remember those who suffer (Hebrews 13:3) and enable a united church to seek God to strengthen, sustain and guide his people under pressure (Colossians 1:11-12). As well as our programmes, SAT-7 websites mobilise prayer too. In June 2014, an invitation “Let’s pray for Iraq” on the SAT-7 ARABIC Facebook page increased the number of shares on the page by 24,629 and Facebook likes by 156,270. This shows how eager our viewers are to intercede and encourage their friends to do the same. Please give now to help SAT-7 provide a lifeline of prayer and support to Christians facing crises of civil war and other conflict. A gift of just £10 is the equivalent cost of providing SAT-7 to ten viewers in the region’s troublespots for a whole year.